"We are ready, and we are taking steps on a daily basis to make sure we will be able to address any challenge coming our way," Abbott told reporters after a briefing President Donald Trump and federal emergency officials. Texas is ready for the next Hurricane Harvey, Gov. Greg Abbott said Wednesday after participating in a briefing with President Donald Trump to prepare for storm season, which began Friday. 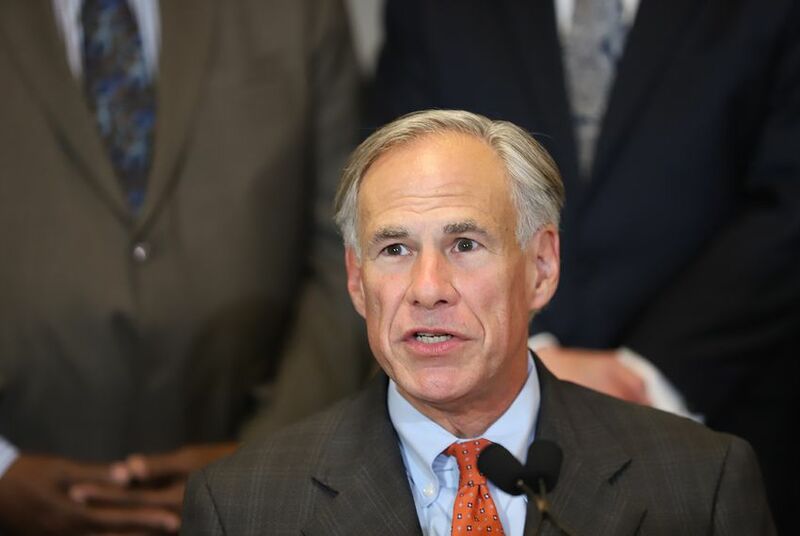 "We are ready, and we are taking steps on a daily basis to make sure we will be able to address any challenge coming our way," Abbott told reporters. "We're getting everything lined up to make sure that we will be capable of responding to a replication of Hurricane Harvey." Abbott participated in the briefing via video teleconference at the headquarters for the Texas Department of Public Safety in Austin. Trump was joined in Washington, D.C., by Vice President Mike Pence and a number of Cabinet members and federal emergency officials. After the briefing, Abbott told reporters that they were expecting 10 to 16 storms this year, five to nine of which could turn into hurricanes. "They are not expecting the same level of activity that was seen in 2017," Abbott added. 2017 was the year of Harvey, the massive storm that made landfall last August on the Gulf Coast as a Category 4 hurricane and dumped record amounts of rain on southeast Texas. During a part of the briefing that was open to reporters, Trump hailed the Coast Guard for rescuing so many people in Texas during Harvey. "They saved 16,000 people, many of them in Texas, for whatever reason that is," Trump said. "People went out in their boats to watch the hurricane. That didn't work out too well." Asked later by reporters about Trump's claim, Abbott said he had "no information one way or the other about that."